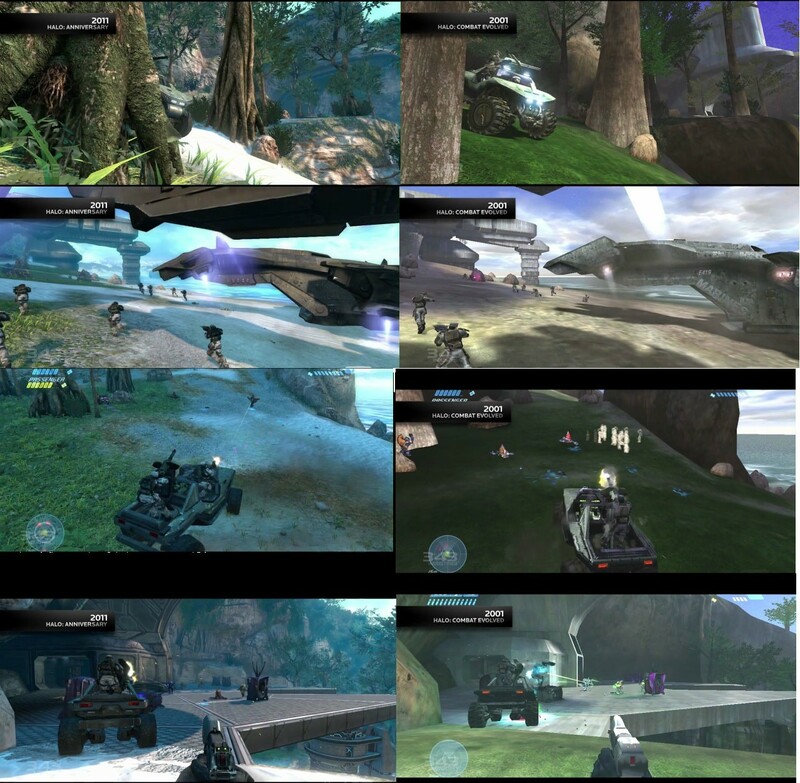 Halo: Combat Evolved Anniversary is the remake of the 10 year old Xbox title Halo: Combat Evolved that pretty much spawned generations of console shooters and proved that shooters could, in fact, be a ton of fun and work on consoles. The remake is actually looking great, thanks to it’s massive visual upgrade and online co-op. Another fun trick is that you can switch between the old and new graphics at any time you want with the simple press of a button. The difference is pretty huge. I’ve posted up comparison shots after the jump too, but if you want to see it for real, and in motion, check the video below. Click the image to see it much larger and get all the details.